This spring, don’t forget to update and refresh your art collection, too! Springtime has officially sprung and along with the warmer weather, prolonged days and budding flora comes an inclination to clean and purge. 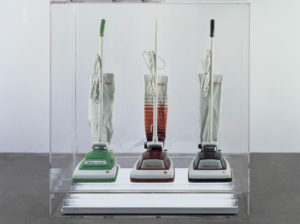 The widespread trope of spring cleaning typically comprises of homes being thoroughly vacuumed, dusted and re-organized – but what about the art? It is easy to neglect artwork that has been hanging on your walls for years, or even decades. But, it is important to take proper measures to ensure your artwork is in good shape and is installed in a way that enhances your home. Poor curation choices and old frames can contribute to a cluttered and out-dated look. Employ RRFA’s services to help update and refresh your art collection. Duane Hanson, Queenie II, 1988, Epoxy resin, oil, mixed technique, accessories.